The VG-1 features a straight fluted barrel with Forward Blow Comp. 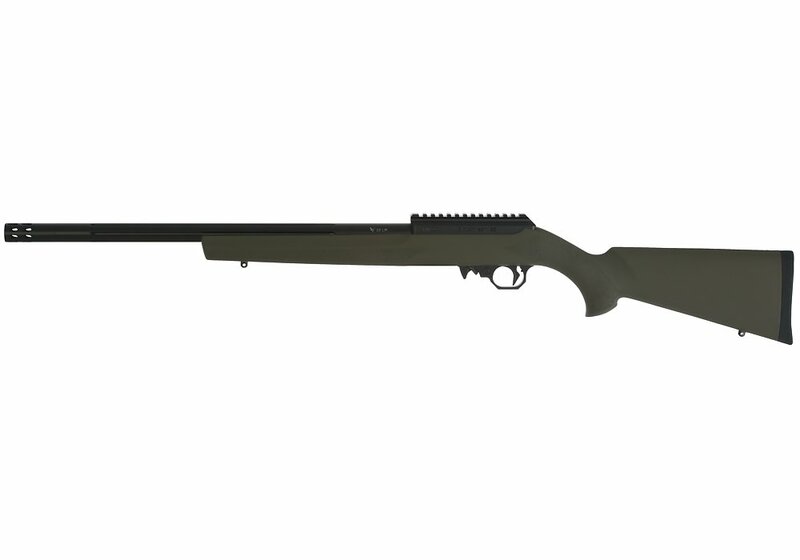 The rifle is then finished with an extremely durable matte black finish. The straight fluting will help remove weight and dissipate heat faster. The Forward Blow Compensator not only gets you back on your second shot faster but will also help direct noise downrange. The OD green Hogue stock is standard on the VG-1.